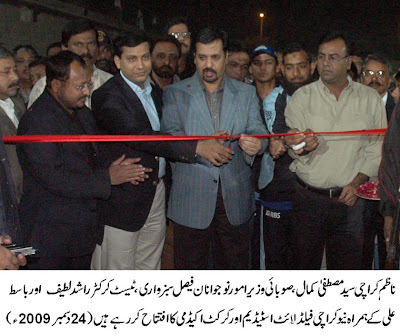 Town Nazim New Karachi presented a balanced budget for the year 2009-10. The budget session of New Karachi Town was held under the chair of convener Muhammad Zulfiqar at New Karachi Town Council hall yesterday. 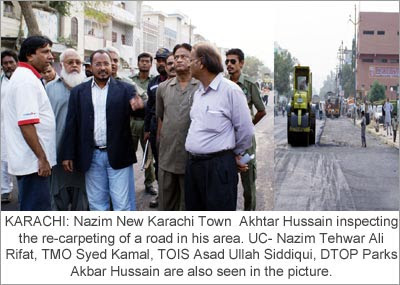 Akhtar Hussain the Nazim of New Karachi Town presented a 580.529 Millions balanced budget for the next financial year 2009-10, which was unanimously approved by the members of the town council. Budget showed the expectation of revenues about 580.529 millions of rupees whereas the estimation of expenses is about 580.379 millions of rupees. Thus the New Karachi Town will have to mange its next financial year within the limits of the earnings of revenue. A sum of Rs. 237.715 million has been set for the development plans ( 41 % of the budget) and projects whereas the non development plans and projects will utilize 342.664 millions of rupees i.e. 59.41 % of the budget. In his speech Town Nazim New Karachi Akhtar Hussain said that increased non development expenses are because of increase in the salary of the employees and some of the special projects introduced to the town like free of cost house to house collection and dispatch of garbage. Akhtar Hussain further said that the teaching of Altaf Hussain encourages the Haq Parast leadership to server the people without discrimination of color cast, language or other differences.